Warts and all: on writing "The Secret River"
Kate Grenville's multi-award winning novel The Secret River would not have been written if she'd kept writing the non-fiction book about her convict-turned-settler ancestor, Solomon Wiseman.But when after several drafts she was still finding it hard to "bring the book to life", especially in the absence of records on what most interested her- Wiseman's interaction with indigenous Australians- she bit the bullet and switched to a novel. She turned Wiseman into Thornhill, gave him experiences fleshed out from the records of others, like Governor Phillip's slapping of an elder he assumed was stealing- and later, the massacre. 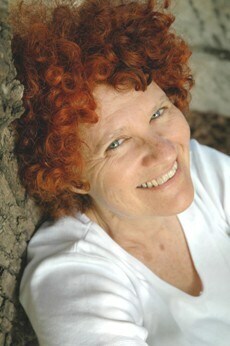 "But I didn't want people unsympathetic to the idea of frontier violence to be able to say: it's just a novel, she made it up, none of this really happened," Grenville said, "so I promised myself I'd write another book that would sit alongside the novel and show where I'd got my material from- then people could judge for themselves." Searching for the Secret River, released this week, is that book- which, like The Secret River, Grenville wrote in her room in the University's Woolley Building as Honorary Associate in the English Department. bush, her attempts to make a slush lamp, her expedition to Kununurra where she met some "very powerful, stern, knowledgeable old men". "Just meeting them taught me to respect very much more than I ever had the Aboriginal way of being in the world," Grenville said, "and it made me realise how shallow my own relationship to the country really is." She learnt the extent of her ignorance, she said, and was able to transfer that and her "sense of awe and trepidation" to her main character. Her archival research had shown her that "very often there'd been no ill will on either side, it had been total misunderstanding and mutual lack of comprehension, particularly regarding relationship to land, that had led to terrible things happening". Though more a memoir of "the process of rethinking what it means to be an Australian" than a 'how-to' book, Searching for the Secret River lays bare the five-years-long writing process, including the dead ends, and illustrates aspects with extracts from some of the 20 drafts. It traces Grenville's search for the appropriate voice, showing how she came to portray the mental consciousness of her early nineteenth-century waterman without sounding painfully strained or falsely 'ye olde'. Two chapters unravel her struggle to represent Aboriginal people authentically. "The whole point of writing The Secret River was to put the Aboriginal people back into the picture," Grenville said, "but how to do that without appropriating their story." And how to do that without caricaturing? Her attempts at Aboriginal dialogue in limited English were "dire", she said, so she took it all out and showed Aboriginal people doing things and relating to each other instead. 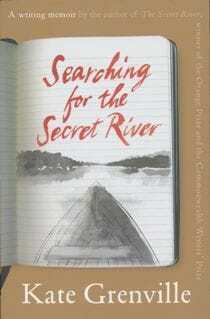 "There's a lot about getting it wrong in Searching for the Secret River", Grenville said. "It's pretty much warts and all. But the teacher in me, the person who wants to encourage others to write, is overcoming my fear of exposing my dopiness. There's no short-cut to creativity." The convoluted, partly unconscious problem-solving process of writing, she finds absolutely fascinating. "I think that's why people go on doing it," she said. 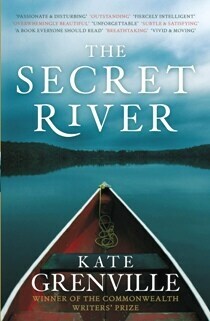 The Secret River has wonseveral awards since publication last year, including the overall Commonwealth Writers Prize for Literature. But the thanks Grenville has received from members of the Aboriginal community is worth more to her, she said, than any of the prizes. "They recognise that the book is my act of acknowledgement, my way of saying: this is how I'm sorry."